Waffles are kind of the thing here in Belgium. They are also another thing my allergic son cannot eat, what with the eggs and dairy and all. 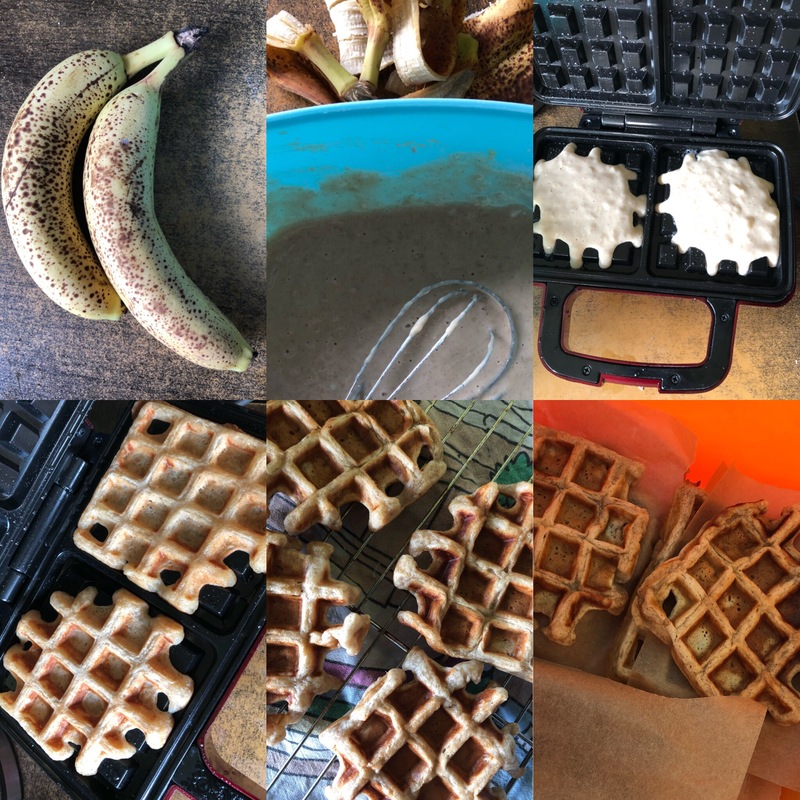 I recently saw a waffle making iron whilst shopping in Lidl and thought it would be interesting to have a go at making waffles my son can eat too so i snapped it up and then it has just sat in the cupboard for ages, until now. 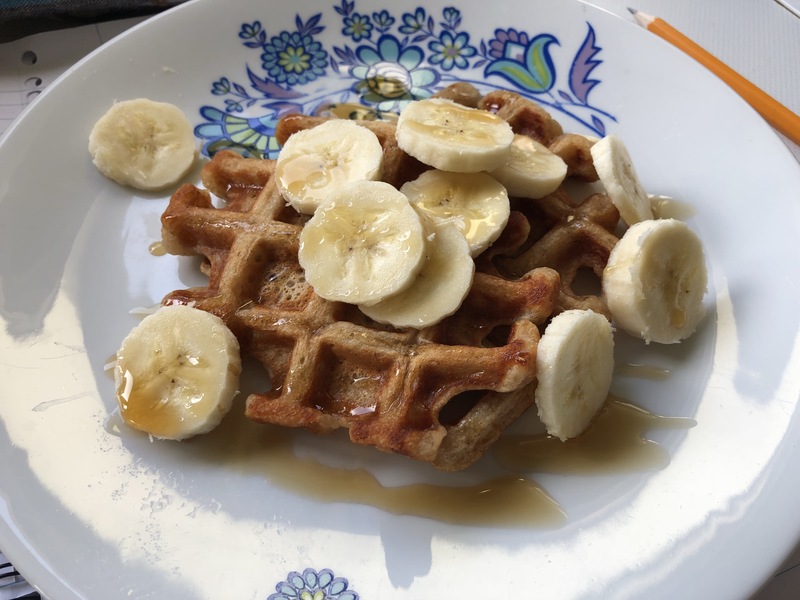 I looked at various waffle recipes online and came up with a banana based waffle. They tasted delicious with banana slices and maple syrup. 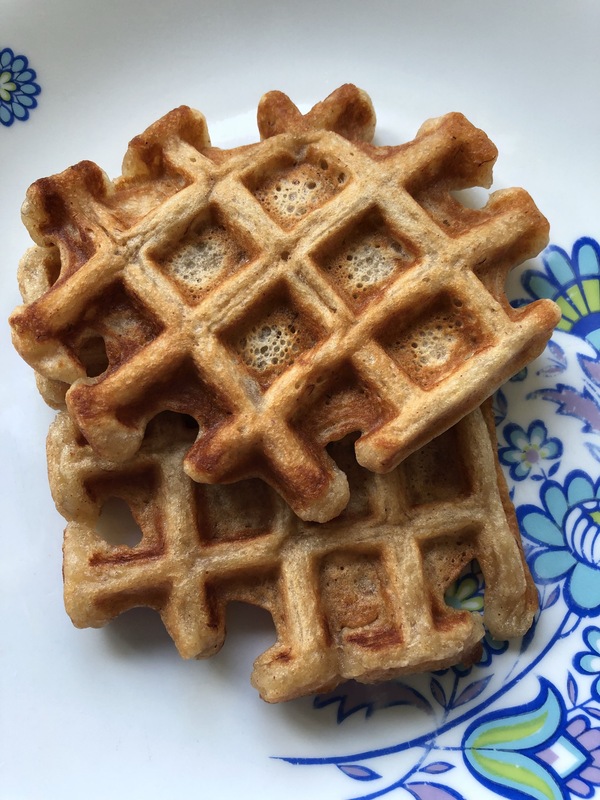 These waffles are best eaten fresh but if you want to save some you can always reheat them later, I do this in the toaster but you can probably put them in the oven for a bit or even back in the waffle maker for a reheat. Mix the wet mix into the dry mix. Once combined make your waffles accoding to the directions of your waffle maker. I find these need about 3 minutes in the waffle maker.